The holidays are officially over today but the specialty beers brewed for Christmas are still here. 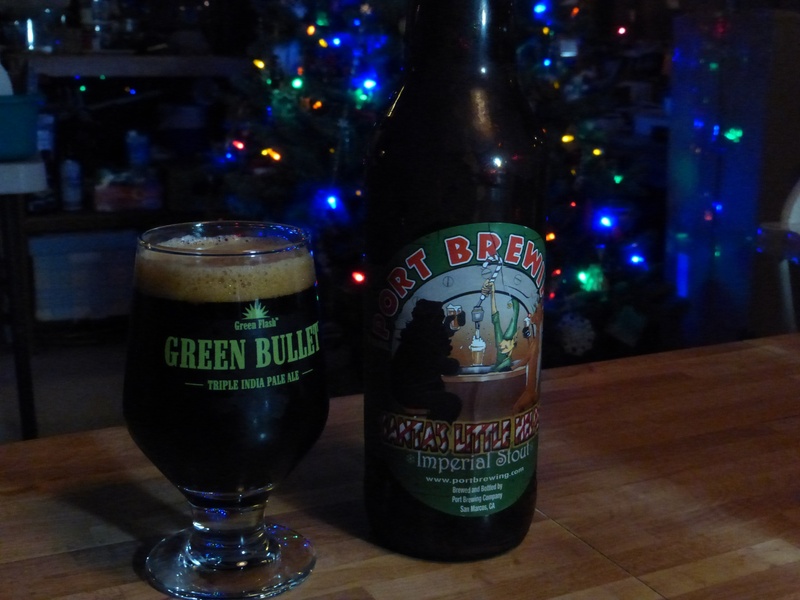 I happened to grab a bottle of Santa’s Little Helper Imperial Stout from Port Brewing Company in San Diego recently and cracked open the bottle tonight. Thankfully I had a few people to share it with because it is a strong 10% and one of my new years resolutions is to try to avoid drinking as much during the week. Santa’s Little Helper Imperial Stout, Port Brewing Company. It is fitting that I get to enjoy this while the Christmas tree is still up. Apparently Santa is a big lush and needs some good beer to get him through his route and this beer does the trick. The beer pours thick with a bitter chocolate nose and a thick head. The taste is heavy on the bitter side with some clear chocolate flavors at the forefront. The aftertaste gives you a nice sweeter coffee flavor that some stout lovers might have missed. Overall, this is a great beer if you don’t like your stouts too sweet but might be too bitter for some.